I can't speak for you but my newsfeed has been clogged for the last week with reviews from Irish beauty bloggers who have been giving mixed reviews over the products from Irish make-up brand Fuschia Cosmetics. Now, I for one, would not wilfully accept products for review from a company and then go and slate the company ruthlessly, that said- I will always be honest and you can rest assured everything and every opinion I write on this blog is the truth based on my own experience and understanding. I've used most of the products that were sent along to me and I'm just going to let you all know how I have gotten on with them. I feel like I also want to address the issue of private labelling that has arisen in conversations that I have had with fellow Irish bloggers. First out, to address the private labelling elephant in the room. For those of you who do not know what private labelling is- it is essentially where one company (Company A) engages with another company (Company B) to produce, manufacture and label products with Company A's logo and then Company A will undertake to sell those same products as their own. So if Company A wanted to set up a cosmetics company, they could engage a Company B like Pinnacle Cosmetics to put Company A's name on makeup palettes or whatever, and then sell them off as their own product. There is nothing illegal about private labelling- it's similar to buying own brand products in supermarkets. Private labelling has many advantages- it saves small companies massive research and development costs, gives control on marketing, production and cost etc. As a business person working in a commercial environment every day, I can see how it would make sense. A cosmetics company is perfectly entitled to source their products from wherever they want, as long as they abide by the plethora of regulations and requirements that apply to the sale of cosmetics that are required by law. If companies can buy such products in for one price and sell for a greater price, that's good business. If there is a market there willing to pay, more power to them. The disadvantages of private labelling are also clear and quality can often be compromised. If you think about it, Company B just want to sell as many units to Company A as possible, and the extent to which Company A is aware of the ingredients and composition of the products might not be as clear as if Company A developed those products and had a role in the manufacturing. I personally have no problem with private labelled products where they are good quality and reasonably priced. I generally have quite expensive taste in makeup and I don't mind forking out money for decent products, but I am not going to pay hand over fist for mediocre quality cosmetics from anyone- nevermind companies that source all their products for private labelled companies. The vast majority of cosmetics we use are made in China anyway. Many companies have made a fortune from selling private labelled products- Crown Brush, BH Cosmetics and Coastal Scents being the top examples to spring to mind. I don't think the selling of private label cosmetics is deceitful and as long as it is a quality product that does not contain any harmful ingredients, I am willing to give it a try. Which brings me back to Fuschia Cosmetics. A little bit of research on the brand informs me the brand is owned by an Irish company based in County Louth, and indeed the flagship Fuschia store is located in Scotch Hall in Drogheda. Fuschia Make-Up pride themselves on being an Award Winning Irish Make-Up Company. I love to see Irish businesses doing well for themselves, particularly young entrepreneurs, and Fuschia seem to be doing well for themselves with a steady following. I received a pack of products almost two weeks ago and, like I said, I've been trying them out. Now, as I said before, I am not going to slate any brand that gave me products in consideration of review- but I will be honest in my review because my readers deserve nothing less. Please bear in mind that when I review cosmetics, I often compare them with other similar products in my collection or similarly priced items for comparison purposes. The first product I am going to talk about is the 5 pan eyeshadow palette. I didn't have any hand in picking out the shades but they are all lovely neutral shades and colours that I would pick out myself given half the chance. I quite like the Fuschia branding and the black and pink packaging, the little flowers on the inside are cute. The eyeshadows themselves are powdery but the pigmentation is decent but they are not the easiest to work with on the eye and also lack in longevity in my opinion, even with an eyeshadow primer on. This palette would cost €40 if you were to pop instore to fill it, and to be honest, I think that is incredibly overpriced for what you get. These are not dupes for MAC eyeshadows, they are just colours in the same sized pans. In my mind, €40 is the price you would pay for a top notch palette- the Urban Decay palettes are just €44- and this comes nowhere near the quality of those eyeshadows. It's nice, but it ain't worth forty bucks. 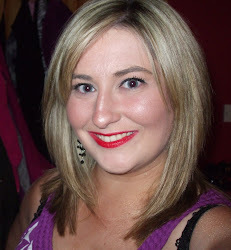 I, along with most of the Irish blogging population, got the lipstick in the shade Vamp to try out also. I like the colour of this one- a nice cranberry red perfect for the autumn months- and at €13.50 it's not completely unreasonable in price. I don't think this is something I will be reaching for over the winter months however. Unfortunately, I have found that this tastes like a waxy crayon on my lips and it feels like a waxy crayon on the lips too. I found that the best way to wear this was to sheer it out with my finger after applying to achieve more of a stain effect. It was an ok lipstick but I still think you could do alot better with your €13.50 in Boots or Superdrug. Even the plastic packaging is a bit boring. Next up are two products I did like and they are the Lip Lacquers in Love Affair and Party Girl. Again, even though these tasted kind of waxy on application, these guys just lasted for so long, they were pretty much hassle free. My lips did need a good conditioning afterwords because they had dried out quite a bit but in my mind, it was worth it. These are €16.50 a piece though, a price which I find to be quite prohibitive. Long wearing liquid lip lacquers are widely available now for prices far more reasonable. The next product I got was a lipliner in the shade Eggplant which is a very dark, plummy liner and retails for €12.95. Again, this is just not worth the bones of €13 to me- it feels quite cheap and the product is probably a little too soft for my liking- I feel like this is one that would need to be sharpened after every use. Similarly, the Eyedust in Bliss which retails for €12.95 was just not special enough for me to recommend you purchase it. There are a few products in the bundle that I have not tried yet- the Brow Kit in Taupe- honestly this is something I would never pick out for myself so I don't know what I could say about it. The compact is quite large and the brush underneath the pans feels scratchy on back of my hand. The two pans of colour do not lie flush in the palette so it doesn't look very professional- had I paid for it online, I would have been annoyed. At €15.50 aswell, I also think this is quite a high price point. I also got little samples of the Highlighter and Primer but I am too afraid to try these out on my sensitive skin in case they break me out. I've tried both on the back of my hands and I thought the highlighter looked a little greasy. 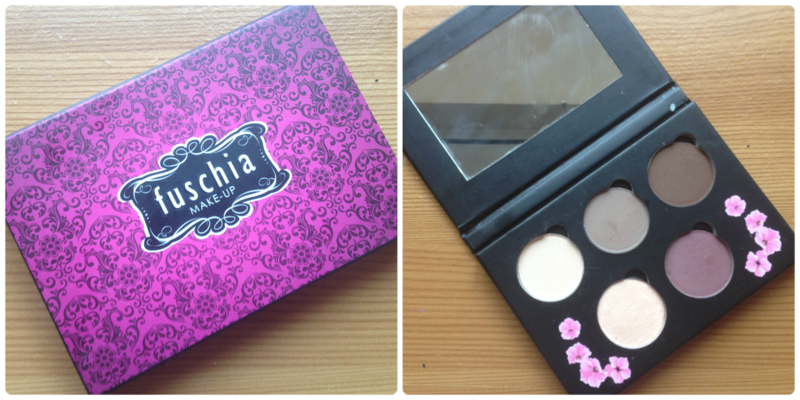 So, it is with a sorry heart that I have to admit that I was not even remotely blown away by Fuschia Make-up. For the most part, I found it to be incredibly overpriced for the quality of the products therein, especially when comparing it to similar products in the marketplace. I couldn't recommend to my readers to go out and buy any of these products because I honestly don't think I would spend my own hard earned wages on any of these, and I only ever recommend products that I have tried and loved, in spite of the price tag. I got a 10 pan blush palette at the Pro Beauty Show in the RDS last year and I really like that, but none of these products have excited me or made me want to go out and buy more. Unfortunately, the designer price tag of these products has not matched up to the actual goods, and no amount of respect for the Fuschia team could lead me to say otherwise. I feel like it would only be fair to Fuschia to point out that they have received several nods and accolades for their products and service over the years, so it definitely is not all bad! As much as it pains me personally to post this review up, I felt like I had to be honest with my readers, because everything on this blog is my honest opinion. I've seen some favourable reviews from Irish bloggers who have said they love the products, and whilst I cannot argue with their opinions, I was surprised to say the least. I'm not going to disrespect my readers with a favourable review of products I did not enjoy using. Perhaps I am just too critical and my expectations from make-up are too high now, I'm not sure. And I want to make clear that this review was not a simple dismissal of the brand because they engage in private labelling- as I mentioned above, I am quite willing to buy good quality private labelled products at reasonable prices. So ladies, what are your thoughts on this post? Am I a horrible person for putting this review up? Do you love Fuschia Make-up and want to jump to the defence of the brand? Or like me, have you been unimpressed with Fuschia offerings thus far? Yeah there's been a lot of Fuschia in my twitter feed of late too. From a different Irish blogger I found out what private labelling was, I had never heard of it. It's certainly frustrating, because you could also buy two products from two different brands and they could actually be the exact same product in different packaging. Especially when there's mega price differences. There is no restriction on that is there? Is it possible for a cosmetic company to sell the exact same product to different companies? Yeah it sure is- the private label companies will print whatever name on it that they get paid to print. Even Coastal Scents and BH Cosmetics carry very similar palettes and they are probably each other's biggest competitors in the US! Very fair and honest post. There has been a lot of Fuschia on my Twitter too. I am due to receive some of thier products this week so will be interesting to see how I get on. Great post, Aisling. I think you definitely got across that your issue isn't with all private labelling, but specifically with private labelling that isn't great quality for the retail price. I remember Fuschia being mentioned a bit a few years back, but it didn't seem to take off so I'm guessing they're trying to re-promote/relaunch themselves. You hit the nail on the head there Paula :) I don't mind private labelled cosmetics if they are excellent quality but definitely not willing to pay hand over fist for mediocre products, private labelled or not. I just felt like it was important to make the distinction that even though I am fully aware that the products were private labelled, this didn't automatically make me dislike them or skeptical of the quality even before I tried it. I really wanted to write a glowing review for an Irish company but I cannot, in all honesty, recommend to any of my readers to go out and pay those prices for those products. A very fair, honest and well written post! We don't get this over here - but I truly appreciated your honest review. I have been seeing far too many bloggers praising a brand and products just because they got products for free.. It's like people are being bought by free products! Well Dyna, I definitely cannot be bought by free products. Sometimes I get things sent to me that don't really work for me and I give them to someone else who would be more suited and ask them how they got on with it. I wouldn't really post about anything I didn't like normally unless it was a comparison post or I felt like I wasted my money buying them. I don't like publishing negative reviews on anything really- especially cosmetics from an Irish company- but I have read a couple of suspiciously glowing reviews over the last few weeks and I felt like I had to get my opinion across! Really good and honest review. I really appreciate when I come across a post like this! I have seen some of these private labelled products like those by BH Cosmetics and found the same product/quality on ebay for half the price. sigh.. Thank you Alice for your lovely comment, and it definitely pays to shop around when it comes to private labelled goods. A little word of warning about eBay though- an MUA friend of mine ordered some eyeshadow palettes from Buy in Coins (practically eBay) and she said the quality was not as good as the palettes she had gotten from BH or Coastal Scents. Make sure to check feedback ratings and reviews! First of all, you're definitely not a horrible person for putting up this review. After all, you're more than entitled to share your own opinion on your own blog! I received the blogger pack from Fuschia too. For the most part, I actually liked the products but I do agree that they are a bit too expensive. Also, it was interesting to read in your post about the whole private labelling thing - I never knew much about that before so it's something I'll have to be aware of for the future! I haven't tried anything from Fuchsia but I really appreciate your honest review. You're totally right about things being subjective, so someone else may try these and love them but what puts me off really is the price. I think for that price point you should be expecting glowing reviews all around and you're not the first person I've seen to be less than impressed. I think if they were better value then most people would be willing to forgive the quality not being 100% but as you say, you could easily take the same amount of money and get a cheaper, better product in the pharmacy. It's just a shame really as like yourself, I like to support Irish brands. Great post! Thanks Chloe- as difficult and all as I felt about this, I could just never recommend to my readers to buy the products. I completely agree that you could do way better for your hard earned money- if the prices were not so steep, I might not have felt as compelled to post this! This is why I started reading this blog, you get honest opinions, not ads! Totally agree with Alina, the packaging is so cheap and tacky looking, it would immediately put me off. Thanks Grace- I love the pink, black and white combination and the font but the packaging doesn't feel too chic in person either unfortunately- it's plastic-y and cardboard-y, a tad flimsy- don't think it's something I would buy if I came across it in a store! Great review Aisling. I definitely think these products are WAY over priced!. I've seen them in shops, but their packaging has never inticed me to actually WANT anything, and I definitely wouldn't pay the price for them anyway. I'd rather hold onto my money. €16.50 for a lipgloss! !...I could walk into MAC and get a lipgloss for that, and I could pay LESS for one in Inglot!...way to expensive! Great post as always Aisling. Something makes me a bit uncomfortable about private labelling. I just feel if I was setting up a makeup brand the biggest piece I would want to be original would be the product itself as opposed to the packaging. Excellent post. Very fair and honest. I've never used Fuschia but one of my relatives bought some of their stuff and seemed to be under the impression that it was high quality because it was expensive. The idea of marketing something as Irish when it's not doesn't sit well with me - a quick search of tmart or eBay throws that palette up for a few Euro. I'm all for making a profit but this is a bit of a joke, especially with so many good budget brands out at the moment. Private Label almost as dear as Urban Decay??!! The whole issue with the blogger during the week put me off the brand altogether too. what pl brand do you think fuchsia is using ? Thanks for sharing such great article. It has lot of useful information about My Two Cents on Private La belling.